A simply stunning way to show your caring thoughts! Send this lovely arrangement to the home of those mourning a loss, to shown them they are in your thoughts as well as your heart. 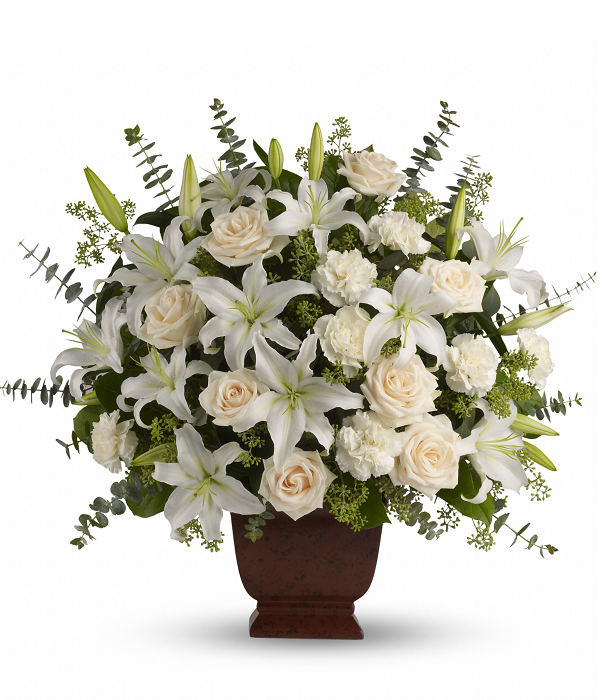 Bouquet includes elegant flowers such as creme roses, white lilies, delicate carnations, fresh eucalyptus and more. Approximately 27" W x 25" H.